Unfortunately, governmental overreach stories like this are becoming so commonplace. Why you ask? Because for some reason, elected officials from municipalities all the way to federal government think their job is to create ways to find citizens breaking laws. Why? For revenue. Well, of course the government—whichever level it is—won’t say that. 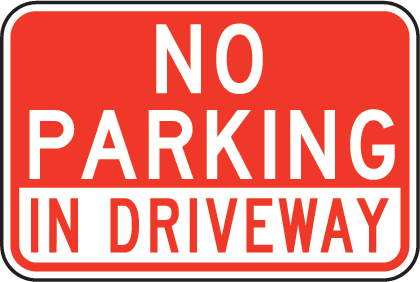 In the article’s specific instance, a Jacksonville, FL councilman wants to make backing into your driveway illegal. Why? So police can find cars that are inoperable and issue citations. And if you back your car into your driveway then they can’t run your plate in your driveway (Florida does not require front license plates). But that’s my driveway, you might think. Nope. A few years ago a Ninth Circuit court ruling said it isn’t. It’s public. And that police can run plates and search cars and even place bugs and trackers on vehicles without warrants if your private vehicle parked on your once private property is visible from the street and isn’t protected by a gate or fence. Read here if you don’t believe me: http://www.allgov.com/news/top-stories/court-rules-that-your-driveway-is-not-private-propertyunless-youre-rich?news=841368. But I bet the city and county tax assessors don’t remove the square footage of the no-longer-yours driveway come time to collect even more money from you in the form of taxes. Don’t pay the full amount and see what happens. And think of all the red light cameras that haven’t prevented one accident but have taken millions of dollars from citizens. Or one of any money scams local and larger government organizations are taking from us associated with automobiles, parking, and citation fees. Or what about those surveys about drinking and driving where the local police and interviewers were recording your data without your permission? The list goes on and on and on. All of this falls under assaults on our liberty. We used to be a beacon of liberty where a man or woman was free to do as he or she pleased. Now, not so much. I bet our Founding Fathers, if they could, would hang their heads in shame and disappointment. Cue the theme music. Don a neon-colored sport coat over a tee, roll the sleeves and you are almost ready for Miami Vice night at your local club. The only thing you’re missing is Sonny Crockett’s Ferrari. And now, you can have it: http://www.foxnews.com/leisure/2015/07/09/miami-vice-ferrari-testarossa-hitting-block/?intcmp=features. Certified as one of the two Ferraris given to the show, this offering will be up for auction soon, so if you have the cash, you might have the look. On a side note, if purchasing a piece of automotive nostalgia from your favorite show is something you’re into, make sure the offered vehicle can be authenticated.